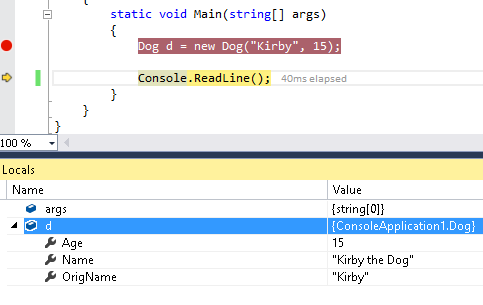 The new null-conditional operator in C# 6.0 allows checking for null and de-referencing a variable in a single step. You can use the null-conditional operator with dot (.) notation, to access an object’s properties or to invoke a method. You can also use the null-conditional with an indexer, as shown below. The expression returns the value returned by the indexer if the variable is non-null, or returns null if the variable is null. Notice that the null-conditional operator protects you from de-referencing a null pointer, but does not protect you from using an index that is longer than the string length.